Last update: 14. 02. 2019. 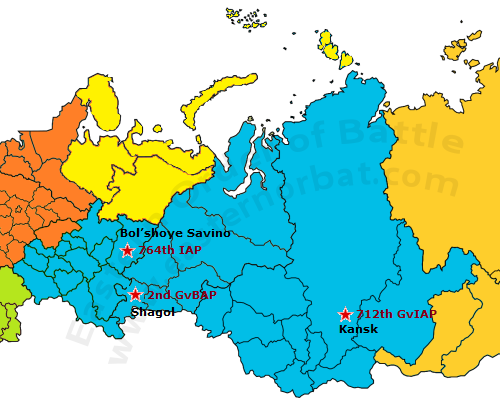 Another major change will see the merging of the Russian Air Force with the Space Forces, under one command, to be known as the Russian Air Force and Space Forces. Last update: 29. 12. 2017. 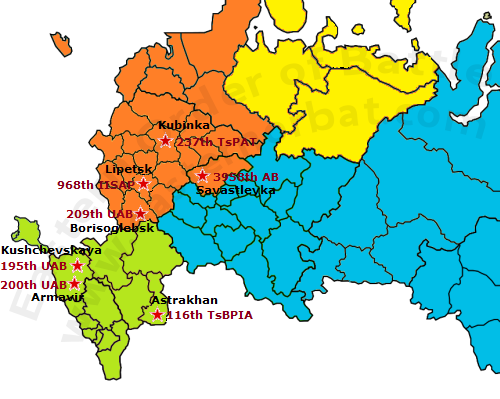 The 6th Air and Air Defence Armies, feature one composite aviation division in their structure, assigned to the Western Military District, controls one such division. Last update: 02. 02. 2019. 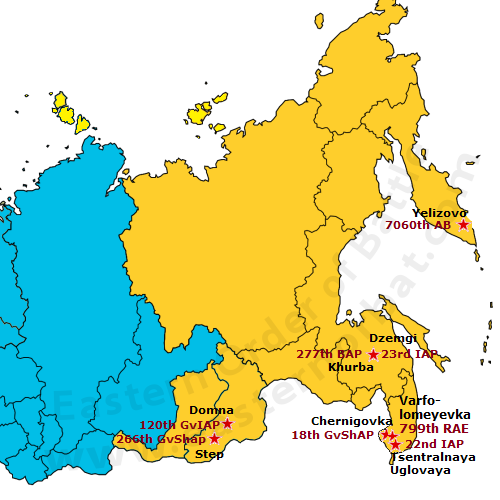 The 4th Air and Air Defence Army originally had one component division in 2009, established in 2013, but a second was established in mid-2014 as a direct consequence of Russia’s prompt annexation of Crimea Peninsula in March-April 2014. 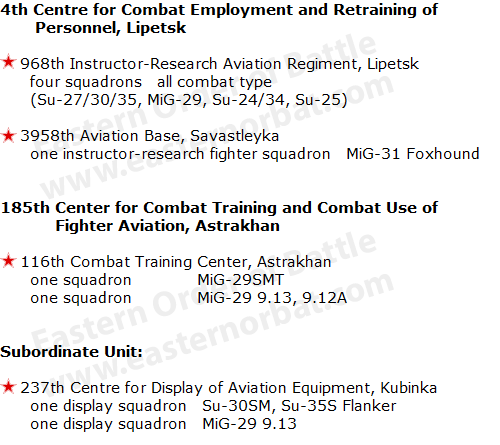 The two-squadron 38th Fighter Aviation Regiment, stationed at Belbek in Crimea, and established in November 2014, is the latest Frontal Aviation fighter regiment. 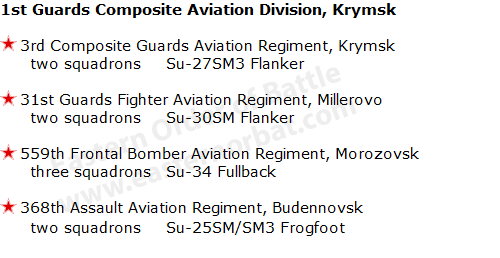 The 37th Composite Aviation regiment is the latest bomber-attack regiment in the Frontal Aviation structure, established at Gvardeyskoye airfield in mid-2014, also in Crimea. Last update: 09. 09. 2018. 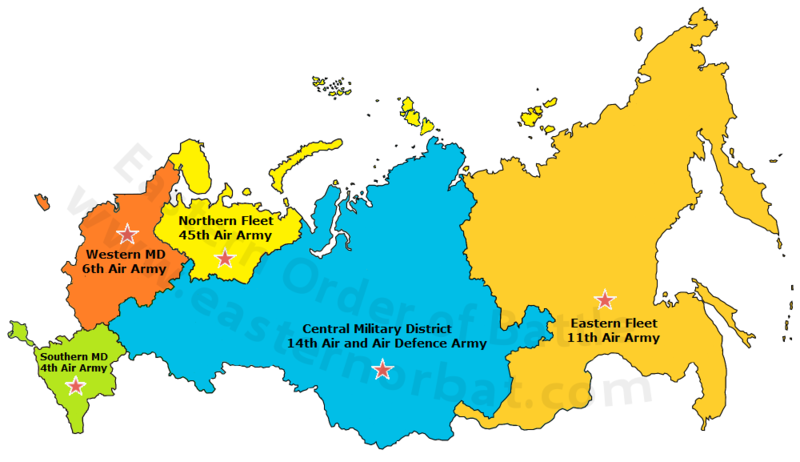 The 14th Air and Air Defence Army the smallest fleet, assigned to the Central Military Districts, lacks an intermediate division-level structure and exercises direct control over its three frontline Frontal Aviation regiments and the airbase at Kant, Kyrgyzstan. 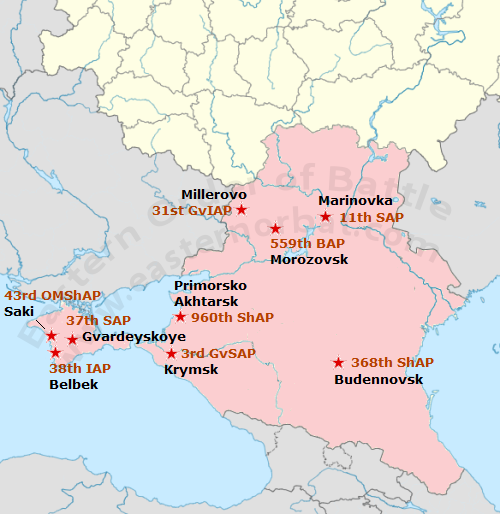 The 999th Air Base was established in 2004 at Kant airfield at in the former Soviet republic of Kyrgyzstan. 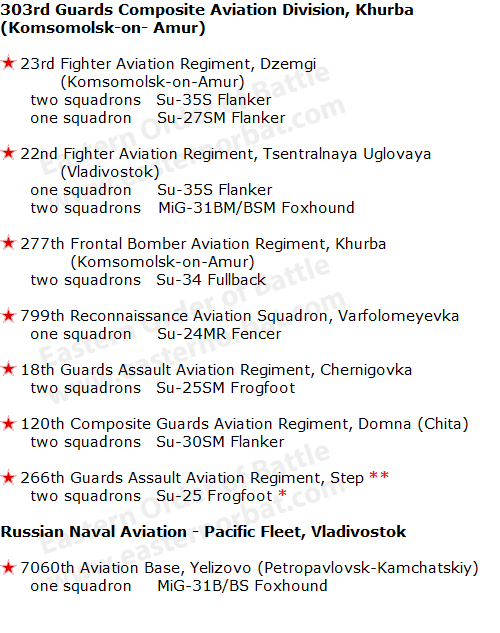 It expanded its fleet with five newly upgraded Su-25SMs in December 2014 complementing the existing fleet of the base’s attack flight or squadron comprising four upgraded single-seat Frogfoots taken on strength in April 2014, together with one two-seater. Last update: 14. 01. 2019.